Cognitive heuristics are mental shortcuts adapted over time to enable rapid interpretation of our complex environment. They are intrinsic to human cognition and resist modification. Heuristics applied outside the context to which they are best suited are termed cognitive bias, and are the cause of systematic errors in judgment and reasoning. As both a cognitive and intuitive discipline, design by individuals is vulnerable to context-inappropriate heuristic usage. Designing in groups can act positively to counterbalance these tendencies, but is subject to heuristic misuse and biases particular to social environments. Mismatch between desired and actual outcomes– termed here, design distortion – occurs when such usage goes unnoticed and unaddressed, and can affect multiple dimensions of a system. We propose a methodology, interliminal design, emerging from the Program in Collaborative Design at Pacific Northwest College of Art, to specifically address the influence of cognitive heuristics in design. This adaptive approach involves reflective, dialogic, inquiry-driven practices intended to increase awareness of heuristic usage, and identify aspects of the design process vulnerable to misuse on both individual and group levels. 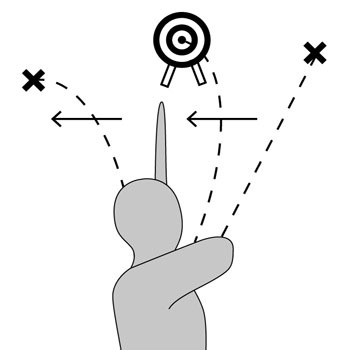 By facilitating the detection and mitigation of potentially costly errors in judgment and decision-making that create distortion, such metacognitive techniques can meaningfully improve design.